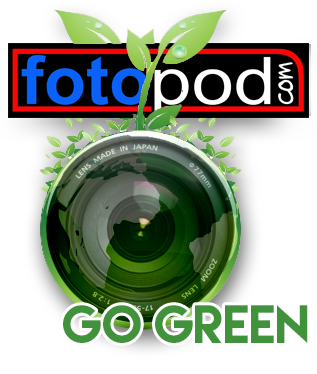 Welcome to Fotopod! 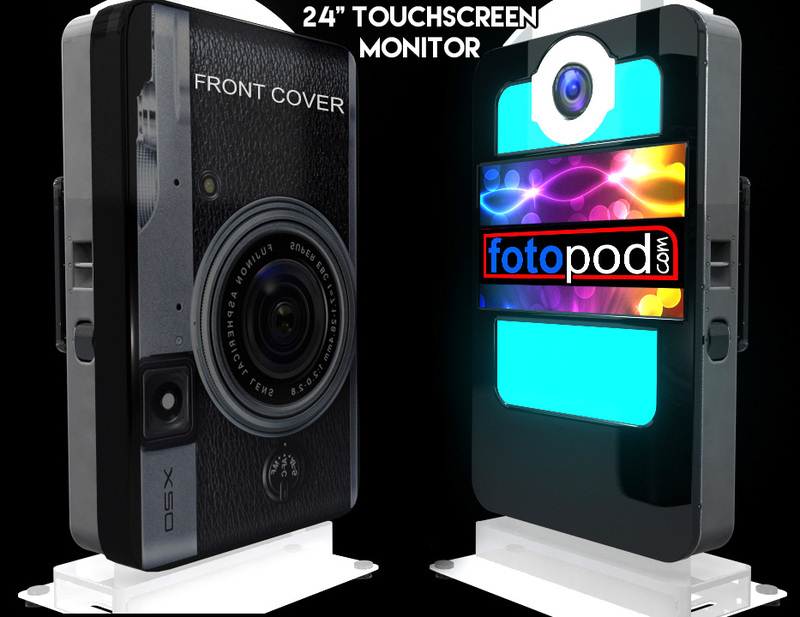 The Premier Photo Booth Rental Los Angeles: Fotopod! Check out our 5 star reviews!Fotopod Fan page! 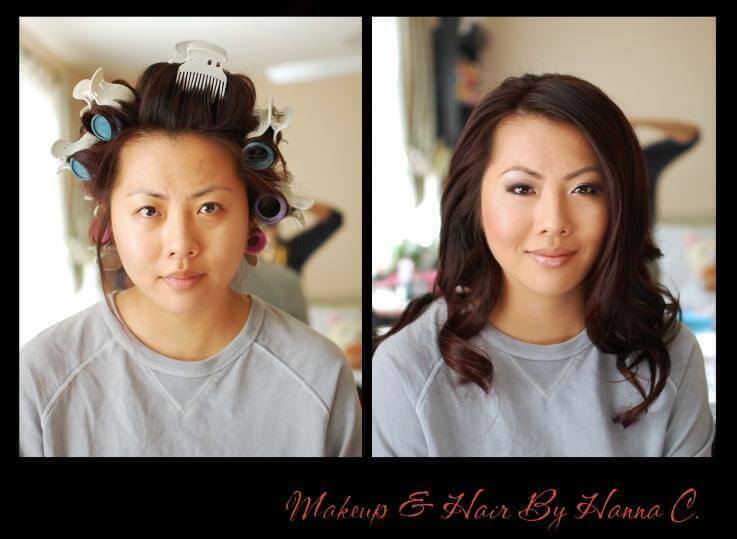 …One photo strip at a time! Rent or Buy Your Photo Booth here! But big enough to fit 15 guests! We can fit in any space you have in mind! Our Photo Machine adjusts to you! Means no harsh shadows. Just perfect photos! 19.5 guests inside Fotopod Booth! And instantly send it to email or social media! Classy service, and all smiles! For your corporate or private parties! create something truly magical! We want to share this with you! We borrowed the German word “foto” which, in English, translates to photo. Our foto kiosk machine was purposely designed to mimic a large iPhone-shaped photo booth. We are now using the phrase,“taking a selfie” to a whole new level! 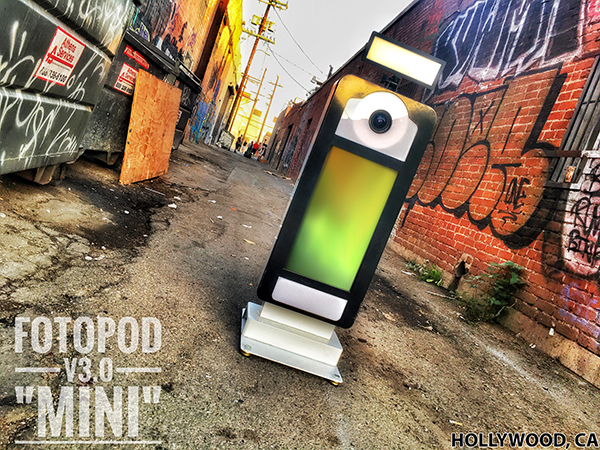 “pod” stands for Photo-On-Demand. That is exactly what you get. These are amazing photos of a very high quality that you can instantly print or email. With just a few taps on the touchscreen or the iPad Station, you are ready to upload your pics to social media sites such as Facebook, Instagram or Twitter. “booth” is the word for the patented* inflatable enclosure system which was invented especially for Fotopod. You will not see a booth like this anywhere else! These three words were assembled together to form the name of our company, Fotopod Booth, LLC. Click the video below to see Fotopod Booth being setup at an outdoor event. Why Rent With Fotopod Booth? Looking for something unique for your wedding or event, something that will make your guests remember what a great time they had? Rent a photo booth! Photo booth rentals are a convenient and affordable way to make your event a huge hit. Whether you are renting a photo booth for a wedding or corporate event, we will supply a cheerful attendant who can help manage and maintain the photo booth rental during the event and help make your event extra special. Photo booths are quickly becoming the “must have” item at weddings and special events because it adds to the enjoyment and fun of the guests. Make your event the new party standard, and one to remember!